Offers Over £450,000-Closing Date- Wednesday the 24th of April at 12 noon. Unique B Listed manse located in the historic village of Culross, near Dunfermline, Fife. 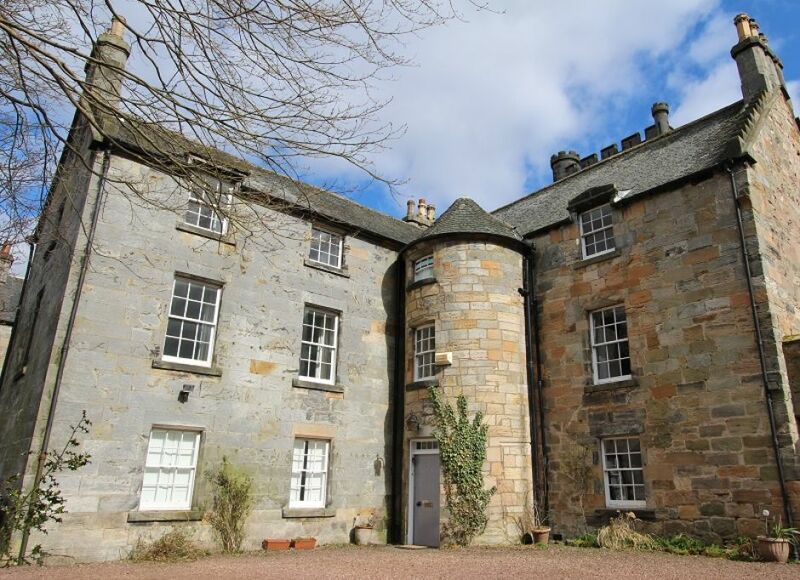 The property is situated next to Culross Abbey on the north side of the village with wonderful views over the village and the Firth of Forth. With delightful original features throughout, this impressive manse presents a unique opportunity to purchase in a charming village, steeped in Scottish history. The property is situated in good-sized garden grounds to the front and rear, comprising areas of lawn, flowerbeds, stone chips and a number of trees. Whilst in need of some modernisation, the property is connected to mains services and has gas central heating. Culross is found on the north bank of the Forth bay within the Kingdom of Fife and is steeped in history being a seventeenth century royal burgh. Originally a port city on the Firth of Forth, the town includes many historic buildings such as the medieval Abbey with its 12th century ruins and the 16th century ‘Palace’.